It&apos;s 3.14! Math fans around the globe are celebrating Pi Day today. You remember Pi, right? The Greek letter represents the ratio of the circumference of a circle to a diameter - approximately 3.14159. Thinking back to middle school math got you hungry? We&apos;ve got a fix for that. 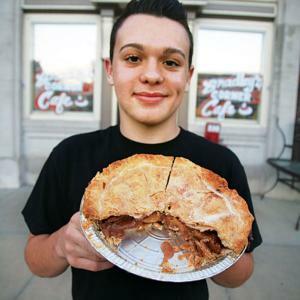 Topeka has some great local pie shops to fill your belly as you munch for math&apos;s sake today. We&apos;ve listed them earliest closing time first, so you can make the rounds. Enjoy your Pi Day. Where do you get your slice of heaven in Topeka? Let us know in comments below or on Twitter, Instagram, Pinterest or Facebook. #TopCityEats.